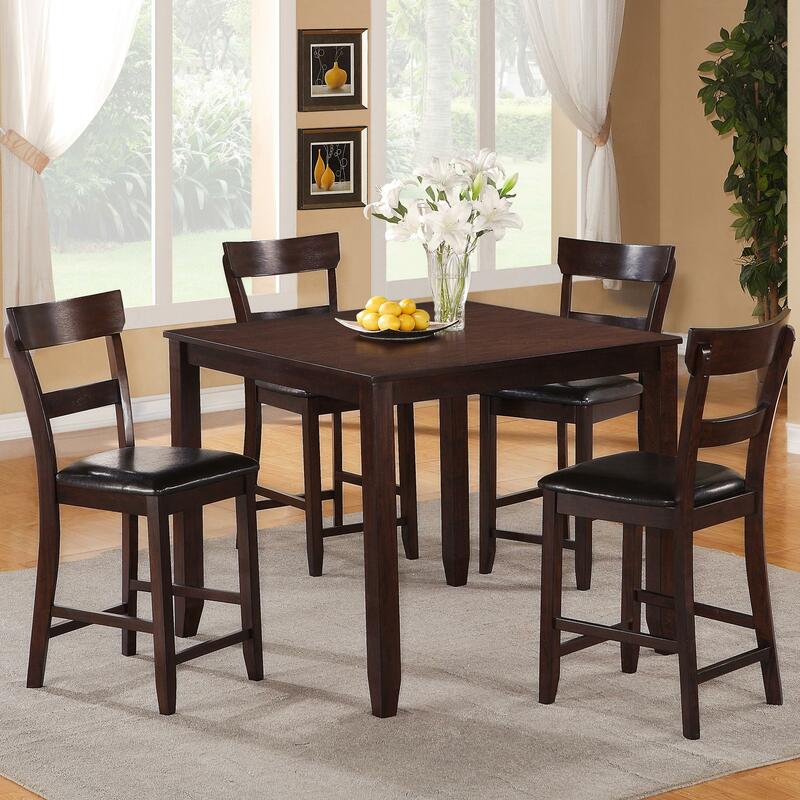 Bring a casual and comfortable dining set into your home with the Henderson Collection. It includes one counter height table and four accompanying stools. The table has a square table top and is lifted on four tapered legs. Each stool has a minimalistic ladder back for an appealing design and a matching upholstered seat for comfort. This set is ideal for small spaces. The Henderson 5 Piece Casual Pub Set by Crown Mark at Miskelly Furniture in the Jackson, Pearl, Madison, Ridgeland, Flowood Mississippi area. Product availability may vary. Contact us for the most current availability on this product.